Who are the officials in table tennis and how do you become a table tennis official? How much money do they get paid? When we refer to the officials in table tennis, we often only think about referees and umpires, but there are many other table tennis officials too. You see, in order to run a high-level table tennis event successfully, you'll need referees, deputy and/or assistant referees, competition managers, umpires, assistant umpires, timekeepers, stroke counters, racket testers, technical officers and jury members. Additionally, you'll need lots of other officials for tasks such as; preparing the table tennis courts; transporting the players; liaising with the media etc. However, in this article, I'll only be focusing on referees and umpires. A referee is usually responsible for the entire running of a table tennis event which includes supervising all the umpires, whereas umpires control individual matches. Can anyone be a Referee and Umpire? 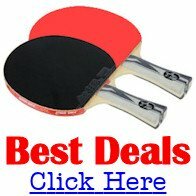 So who are the referees and umpires that we see at table tennis events, and can anybody do it? Well, anyone who has an interest in table tennis can apply to be a referee and / or an umpire, but not everyone will be able to reach the necessary standard. The first requirement is to have a good knowledge of the rules and regulations of table tennis together with a clear understanding of how they apply to different competitions. This is necessary in order to ensure a fair result. Referees and umpires also need to be able to control events and matches unobtrusively, so they need to gain the respect and trust of the players and their coaches. They're also responsible for the presentation and running of the entire event. This includes controlling each match and the appearance of the playing area, so they need to be well organised and physically capable of undertaking those tasks. An additional requirement for International Referees and Umpires is the ability to understand and speak the English language. Are Referees and Umpires Paid? The officials in table tennis are usually part-time volunteers, rather than full-time paid officials, who give up their free time for the benefit of the sport of table tennis. However, at some events they are reimbursed for travelling costs, hotel costs, food and other expenses or they are provided free-of-charge. These will vary from competition to competition. Generally, the high profile international table tennis events will always pay expenses and / or provide transport, hotels, food etc, free-of-charge, whereas at a local level there may be none at all. 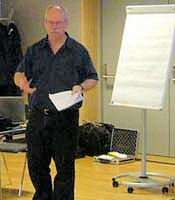 Whenever expenses are paid to officials, they are usually paid by the organiser of the event. 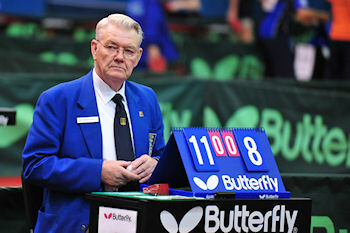 So what qualifications do the officials in table tennis require? Well, the type of qualifications which they are required to have will always depend upon the level / standard of the competition at which they are officiating. Additionally, there are diffferent requirements depending on whether they are officiating at an event in their own country, or in another country. If they're running a high-level table tennis event then they will need to be suitably qualified, but for local, lower-level events, they may or may not be required to possess suitable qualifications. 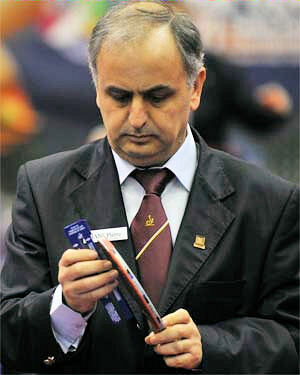 Each National Association develops their own training programs and test procedures for officials who operate within their own country, but referees and umpires who want to officiate at ITTF events in other countries have to meet the standards set by the International Table Tennis Federation (ITTF). However, the ITTF does offer each National Association help and advice regarding suitable standards, training programs and test procedures because the ITTF hopes that each country will develop training programs which also prepare their umpires and referees for participating at an international level. Training programs need to include practical (field of play) elements as well as theoretical (laws and regulations) elements. This means that, as well as knowing the rules of table tennis, or to give them their correct title - The Laws of Table Tennis - officials will also have to know how to apply them to a match situation. 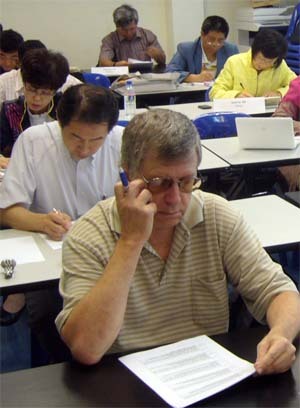 Most National Associations have 2 to 3 levels of qualifications. The lower levels are usually limited to a particular geographical area, whereas the highest level has national status. The lower grades usually have titles such as Club Umpire, Local Umpire, County Umpire, State Umpire, Provincial Umpire and Regional Umpire, whereas the highest national grade is usually titled National Umpire. Many table tennis players have probably had some very minor experience of being an umpire at a local level, but this is usually restricted to merely calling out the score, rather than being in control of the match and applying the rules. In order to qualify as an umpire you'll need to start umpiring at a local level and gain some experience. Then, if you want to progress further, you'll need to undertake the relevant exams and practical tests which are required if you want to be an official at a regional and National level. And if you want to qualify as a referee you'll first need to qualify as an umpire. So if you're interested in being an umpire or referee, you should contact your local organiser or your National Association for advice. After you've gained your National Association's top qualification and you've had sufficient experience, your National Association may decide to nominate you to take the International exams. International Umpires have two levels of certification - the basic White Badge and the advanced Blue Badge. However, these are just titles and do not actually exist as "badges". 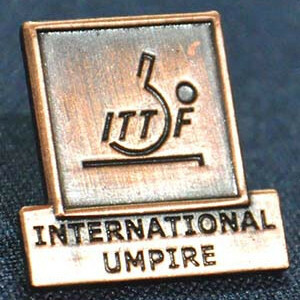 Qualified International Umpires wear a copper-coloured badge issued by the ITTF. It's important that all officials in table tennis are neatly dressed at all times. Therefore, National and International umpires and referees will be required to wear a standard uniform while they are officiating. However, at a local level, smart clothing may suffice, rather than any particular uniform. Details about the duties of table tennis referees and umpires, can be found here. Details about umpires hand signals, can be found here.